Sometimes, you don't feel like laughing or smiling, right? Ever have a bad attitude and feel entitled to it? 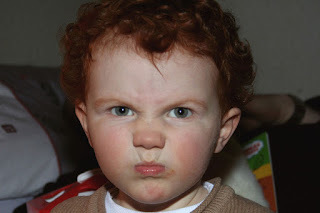 Ever just want to stay pissed off at someone or something and not care who sees your frowns and scowls? Yep! That's most of us!!! Situations and people can really suffocate the smile out of us if we allow them to. 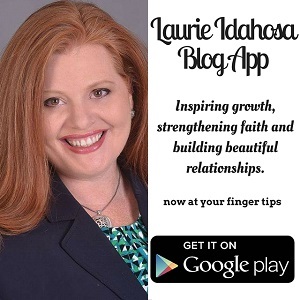 When we look for negative, sad, disturbing, frustrating stuff... we will find it everywhere! But.... once again, the choice to be sad or happy is ours. We can also look for the bright side of things and find it everywhere... We can choose to allow the negatives around us to destroy our mood and the end of our year or... we can rise above it. You have the choice to laugh in the face of adversity; smile when something is meant to make you feel ashamed and rejoice in your trials and tribulations. 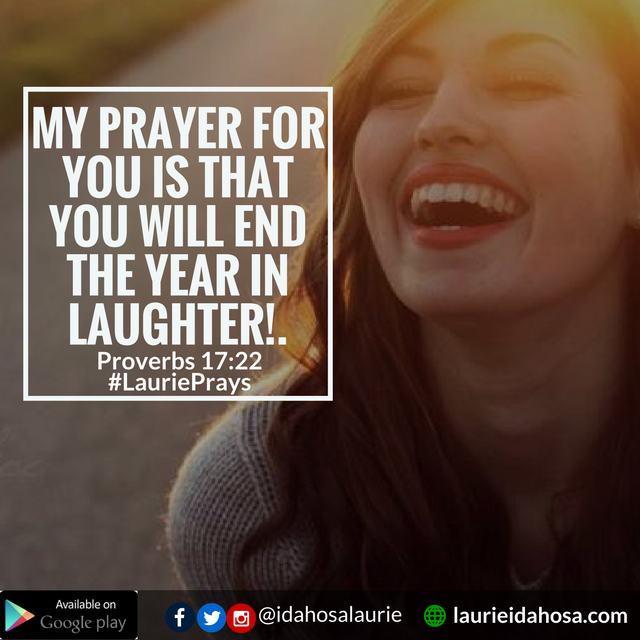 James 1:2 (NIV) says, "Consider it pure joy, my brothers and sisters,a whenever you face trials of many kinds"
When you choose a cheerful approach to the challenges of life, you will be happier and healthier from the inside out. Prov. 17:22 (NLT) "A cheerful heart is good medicine, but a broken spirit saps a person's strength." 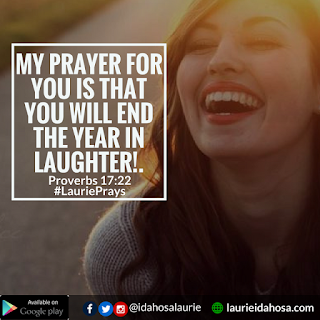 My prayer for you is that you will end the year in laughter.